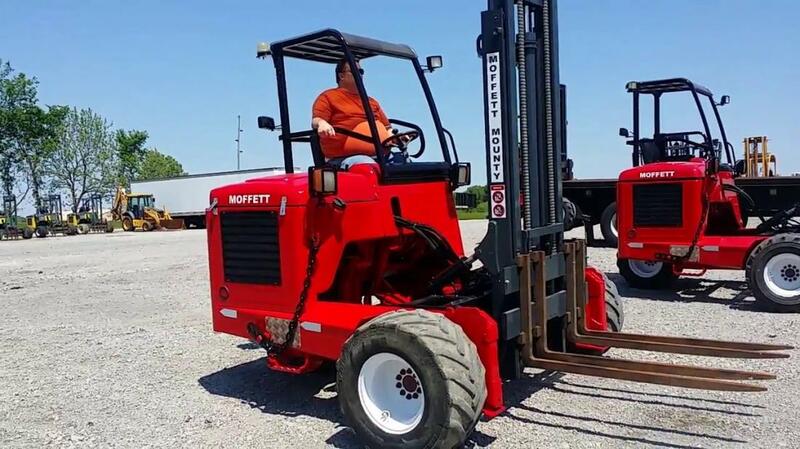 Moffett Equipment: Will Being Cautious Boost Safety? When it comes down to operating a forklift, this is quite a serious business these days. The Moffett equipment is a most used one in the warehouse and industrial operations, but one thing sure is that it is prone to encounter accidents. To avoid any serious injury or even death, it is necessary that operators follow some safety elements. Nowadays, the people who come to us to purchase forklifts are those who go through proper training and receive certifications to prove they have a clear understanding of the machinery to avoid the risks of accidents. We believe this is actually something great. At Bobby Park Truck & Equipment, we have several used forklifts for sale, and whenever visitors come to us; our advice to them is to always follow the forklift operating guidelines. From our experience, here are some tips to being cautious and ensuring the best productivity. Several operators also argue that routine inspection is important for the forklifts, and before individual tasks, it is best that you check the items first that require proper maintenance without the engine running. Keep in mind that the areas of close check include the lights, seat belts, tires, backup alarms, fluid levels, horn, lights, brakes, and other areas like the load supporting or the moving parts. If you are a warehouse operator, then it is best that you do not neglect the maintenance of your lift trucks. It is important that you address all the areas of code violation, and explain it well to your operators to comply with the best practices to resolve the issue in a timely manner. According to OSHA, annually over 35,000 serious injuries occur and over 62,000 of these are non-serious ones, which involve forklifts. It is imperative that workers have proper training and the right knowledge of forklift operation because, without these, operators will end up maneuvering the forklifts carelessly, leading to an increased risk of hazards, injuries, or even death. Keep in mind that safety begins with proper training, so you should ensure that your operators should go through training. OSHA requires that businesses combine their training with formal instructions, practical training, lectures, and written material to evaluate their performance. Furthermore, it should help to give people a clear idea of the forklift models and types. Do You Know The Basics of the Load? Based on OSHA’s advice, it is best to check the loads before you decide to lift them with the equipment. Keep in mind that ensuring the stability of the dimensions also allows safe transport. It is best that you move the front forks far before driving them, which should not overload the center. It is best to tilt the mast of the forklift forward before you lift one. OSHA recommends that operators should lift the load above the lower stack with a distance of about 4 inches or 10 centimeters. For more information on the safety elements you need to know, please feel free to get in touch with us today!